Our Heavenly Father told us to keep 3 feasts unto Him each year. Exodus 23:14-16, “14 Three times thou shalt keep a feast unto me in the year. 15 Thou shalt keep the feast of unleavened bread: (thou shalt eat unleavened bread seven days, as I commanded thee, in the time appointed of the month Abib; for in it thou camest out from Egypt: and none shall appear before me empty:) 16 And the feast of harvest, the firstfruits of thy labours, which thou hast sown in the field: and the feast of ingathering, which is in the end of the year, when thou hast gathered in thy labours out of the field.” One of these feasts is Pentecost. 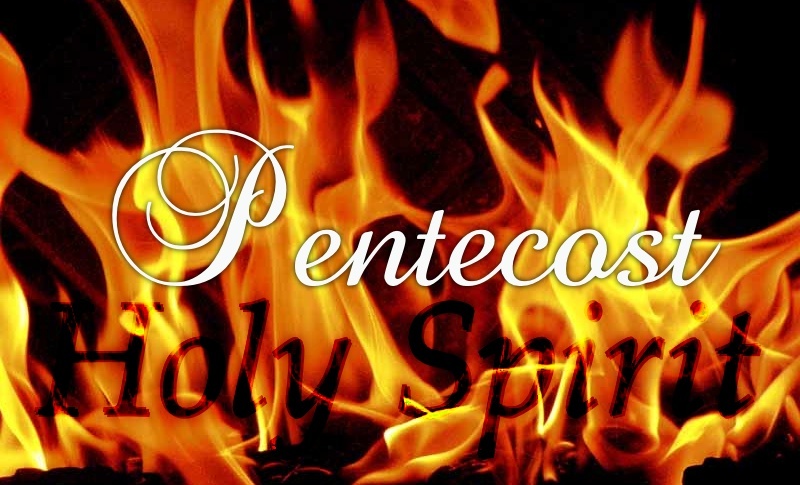 Pentecost means “fiftieth” in the Greek, it is celebrated each year 50 days after Passover. Pentecost, or fifty in biblical numerics stands for first fruits. The first fruits spoken of in the old testament, before Christ died on the cross for our sins was an offering of the first part of the grain harvest that was given to the priests. The first fruits in this generation are God’s election. As we know now, we don’t have to offer up blood sacrifices anymore. Christ became our Passover lamb, and our first fruit when He died on the cross for us. These feasts have not been done away with though, lets look at what happened on Pentecost day in the new testament. When it says you will be beaten, this is in a spiritual sense. You need to remember when Satan is here, he is pretending to be Christ, therefore he wants to seem loving and peaceful, that is why so many will be deceived. Basically you will be brow beaten because people will be calling you names. They will tell you that since you don’t believe in “Christ” (the false Christ) that you are evil, and will call you dirty names. Always remember though, you are being delivered up for Christ’s sake! You will be a witness and give a testimony for Him! In Luke 21:15 it says “I will give you a mouth and wisdom, which all your adversaries shall not be able to gainsay nor resist.” That means that those who have been standing against God’s word will believe what you say and be convinced! The antichrist (Satan) is going to be here to deceive the whole world, but you will not find him tempting because he will be an abomination to you! In verse 10 it says that Christ cannot come until the gospel has been preached to the whole world. Most people think this has been accomplished since we have satellites and internet, but it has not been the true word of God that has been preached. When you turn on the television or radio all you hear is a short sermon based on one scripture from a watered down version of the bible, and the majority of the time the preachers are begging you for money. Trying to convince you that your salvation is based upon your tithe to them, while they line their pockets. The true word of God is hard to find in churches today, and people have not been taught chapter by chapter and verse by verse. They have been taught men’s traditions, and most don’t even open their bibles. Most don’t know what truly happens during the end times because their pastors have taught them they will fly away in the rapture, and that they don’t need to know about the book of revelation. This is a false doctrine, there is no rapture, and Christ tells us in Matthew 24 that those who endure to the end shall be saved! So the true word will be taught when God’s elect are delivered up to Satan and the Holy Spirit, cloven tongue is poured out upon them. Everyone in every nation will hear it in their own language just like they did when the apostles spoke on Pentecost day. Pentecost – that is, the fiftieth day (from a Greek word meaning fiftieth), or Harvest Feast, or Feast of Weeks, may be regarded as a supplement to the Passover. It lasted for but one day. From the sixteenth of Nisan seven weeks were reckoned inclusively, and the next or fiftieth day was the day of Pentecost, which fell on the sixth of Sivan (about the end of May). Ex 23:16; 34:22; Lev 23:15,22; Num 28:1. 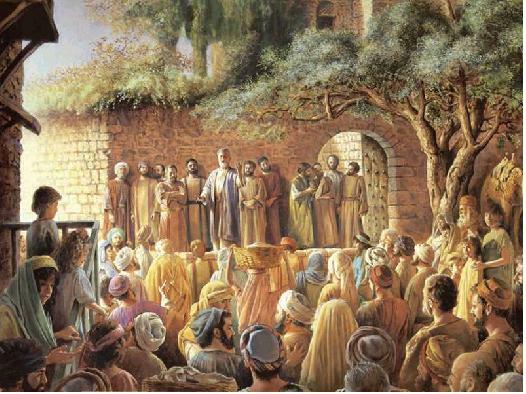 The Pentecost was the Jewish (Hebrew) harvest-home, and the people were especially exhorted to rejoice before YHVH with their families their servants, the Levite within their gates, the stranger, the fatherless and the widow in the place chosen by God for his name, as they brought a free-will offering of their hand to YHVH their God. Deut 16:10,11. The great feature of the celebration was the presentation of the two loaves made from the first-fruits of the wheat harvest. With the loaves two lambs were offered as a peace offering and all were waved before YHVH and given to the priests; the leaves being leavened, could not be offered on the altar. The other sacrifices were, a burnt offering of a young bullock, two, rams and seven lambs with a meat and drink offering, and a kid for a sin offering. Lev 23:18,19. Till the pentecostal leaves were offered, the produce of the harvest might not be eaten, nor could any other firstfruits be offered. The whole ceremony was the completion of that dedication of the harvest to God as its giver, and to whom both the land and the people were holy, which was begun by the offering of the wave-sheaf at the Passover. The interval is still regarded as a religious season. The Pentecost is the only one of the three great feasts which is not mentioned as the memorial of events in the history of the Jews (Hebrews); but such a significance has been found in the fact that the law was given from Sinai on the fiftieth day after the deliverance from Egypt. Comp. Ex 12 and 19. In the exodus the people were offered to God as living first fruits; at Sinai their consecration to him as a nation was completed. The typical significance of the Pentecost is made clear from the events of the day recorded in the Acts of the Apostles. Acts 2. Just as the appearance of God on Sinai was the birthday of the Jewish (Hebrew) nation, so was the Pentecost the birthday of the Christian Church. 22 And thou shalt observe the feast of weeks, of the firstfruits of wheat harvest, and the feast of ingathering at the year’s end.